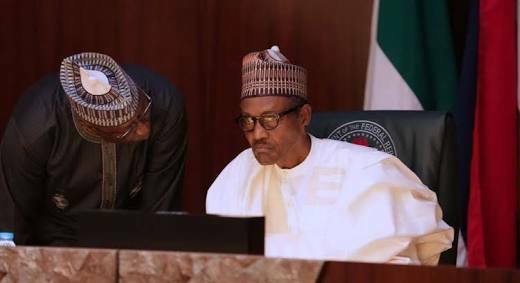 of the two assemblies of the National Assembly (NASS) to welcome President Muhammadu Buhari to a joint session over charged protected infringement. At the arranged session, the President will likewise be required to talk about security issues, especially the unjustifiable killings by herders in Benue, Taraba, Plateau, Adamawa, Nasarawa and different states. In a statement issued by its spokesman, Kola Ologbondiyan, the PDP said the decision to invite the President was in consonant with the mood of the nation and the expectations of Nigerians. “More so, the vote of no confidence passed on the Service Chiefs by federal lawmakers is a direct indictment of President Buhari, as a failed commander in chief of our armed forces, who must be held responsible for the security failures of our nation in the last three years. “President Buhari has roundly failed in his oath of office and allegiance. He has roundly failed to dress his parade as a commander-in-chief in the last three years and must not be allowed to hide behind the Service Chiefs for his failures. “Nigerians are very eager to listen to President Buhari and watch him respond to them through their National Assembly members. We therefore harbour no reservations in urging the federal lawmakers, as representatives of the people, not to succumb to any form of executive intimidation, blackmail and pressure to surrender their constitutional powers and duties. “Section 88 and 89 of the 1999 Constitution (as amended) fully empowers the National Assembly, as the collective voice and conscience of the people, to summon any person, including the President, to give evidence on any matter of state and to apply appropriate sanctions for noncompliance,” the statement said. The party urged the President to take questions and address the nation in an open session at the National Assembly, stressing that matters of security were of paramount importance to Nigerians. The party added: “Nigerians are eager to know why the Buhari administration is completely insensitive to their plight and why it has refused to take decisive steps to end the ceaseless killing and daily pillaging of citizens by insurgents and marauders. “They are also eager to know why President Buhari, particularly, failed to act on intelligence reports and danger signs from flash points, particularly in Benue, Taraba, Yobe, Adamawa, Plateau, Zamfara, Kogi among others; a development that paved the way for the massacre of helpless citizens in these states. “Furthermore, Nigerians are anxious to know why it took President Buhari months before he visited the troubled states; allowed his handlers to turn supposed condolence visits into political rallies to further his ill-fated 2019 re-election bid. “We commend the courage exhibited by our lawmakers in initiating the constitutional process on the violations of our constitution particularly in the controversial Tucano fighter jets purchase deal and in summoning Mr. President to shed light on his efforts at curbing the endless mindless killings across our nation.